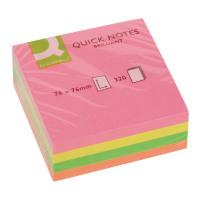 Ideal for desktop use, this Q-Connect Quick Note Cube is designed for long lasting use, with 320 sheets per cube. The strong adhesive will adhere to most surfaces and removes cleanly, which is perfect for making notes or leaving messages and reminders. 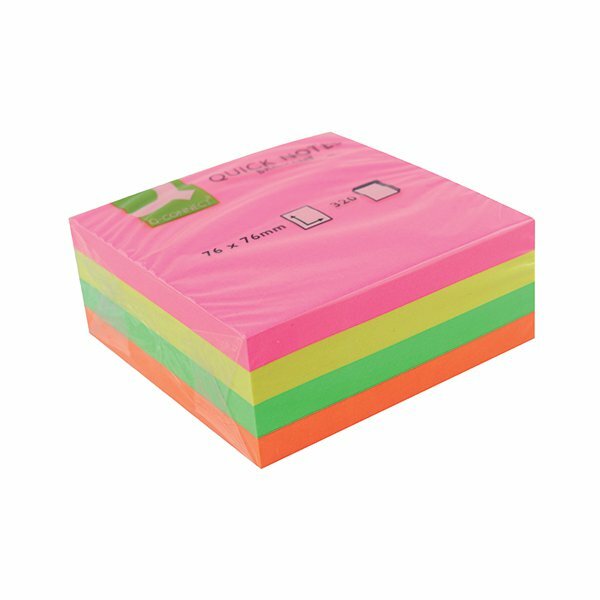 This pack contains 1 note cube measuring 76 x 76mm in assorted neon colours, including pink, yellow, green and orange.